I've just realized that the RT224 camera, by having a C mount, could take all sorts of security camera lenses. Several of those are meant for 1/3" sensors, some would allow wider fields allowing for example to fit Andromeda. Some are even zooms. Of course, if I've learned anything from EAA is that nothing is so simple. * This $20 "Yumiki" 6-60 F1.6 zoom looks like the RI2 zoom. Can anyone check the specs on the links and tell me if any would work on an RT224 camera? I've not seen any picture in the EAA forum taken with a wider field lens like these... Maybe there's something I don't know and I'm wasting my time? Edited by Adun, 28 March 2018 - 10:02 PM. I just saw this today. I think you're on the right track! Check the black "ring" on the front of your RT224. If it has a C on it you have C-mount spacing (17.5 mm) and if it has a CS you have CS spacing of 12.5mm. The other problem is trying to find the CS optical window for your camera (the black ring with CS on it) as a separate item from either RisingTech or ToupTek themselves (it's shown as a camera option on the Touptek website but doesn't seem to be listed as an orderable item). If you do find an orderable source let us know, there are a number of folks who'd like to know. Interestingly AltairAstro sells their ToupTek supplied cameras (the GP-CAM series) with this CS-mount window/adapter as standard and then you only need to add a simple 5mm C-mount spacer ring to set the camera up with the C-mount spacing. Yes! that's exactly what I'm looking for. That post mentions a $20 25mm F1.4. This is the lens I bought. The link is for a US fast shipping ebay listing, but the same lens is available world wide though other Ebay/AliExpress sellers. As MCLewis said, for the rising tech 224 it's important to get a C-mount not CS mount. The key search terms are "C-mount F1.4" the commonly available sizes are 25mm, 35mm(F/1.6), and 50mm. A lot of the listings are intended to be used as cheap DSLR lenses and include various Cmount-SLR bayonet adapters that would be a waste of money for our purposes, so try to find listings that are just the base lens. I also bought a "IR corrected" 2.8mm-12mm M12 zoom lens with M12-Cmount adapter for full constellation EAA. In general, zoom lenses typically compromise performance for convenience, so I don't have high hopes for this one. It is usually best to stick with prime lenses. I'll post the results here when I get it. 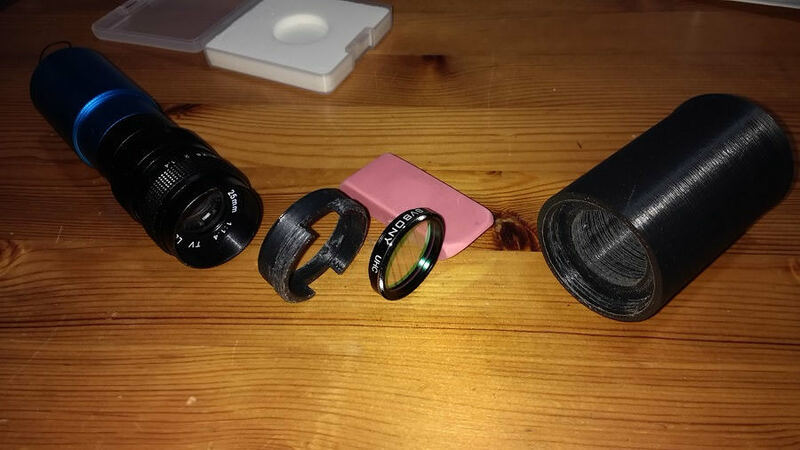 I think these wide field lenses could be neat for EAA assisted binocular outreach. Project the general constellation region so the crowd could get familiar with the area, and then point out the object and how to star hop to it on the projector screen and let 3-4 people hunt for it with binoculars. Edited by cmooney91, 29 March 2018 - 10:47 AM. I searched Ali for "C-mount F1.4" and found this one. It looks like yours, and states it has a C-Mount, plus an C-to-EOS.M ring thingie (for mounting to a cannon Camera). I suppose I wouldn't be using the ring, right? Edited by will w, 29 March 2018 - 10:07 AM. The revolution 6-66mm lens is CS mount, so it probably will not reach focus, and no adapter can fix it because it needs to be 5mm closer to the camera. There seem to be a lot of used 12mm-75mm Zoom F1.2-F2 Fujinon and Canon C-mount lenses for $30-$75 on Ebay. I am really tempted, but concerned about performance compromises with zoom lenses. I'm trying to bid on a $35 cannon to test. I post results here if i get it. Well, I just ordered the c-mount 25mm F1.4 lens. I ordered from AliExpress, since I'm more comfortable with it than with eBay, and I'm not in the U.S. I'll try it on a photo tripod with my EAA camera to see how far can I get with exposure and stacking, and determine whether this can be a new low cost (mountless, scopeless) but genuine EAA setup. A new gateway. I'll also try it with my tracking mount on those large targets that don't fit in the view of my 80mm F4.4. If for $20 I can now image the whole Andromeda, and those great collections of objects (flame + horsehead, M8 + M20, M42+ running man) without needing a camera upgrade, I'll be more than happy. That will be a fun setup. A step up in the future could be to add something like the iOptron SkyTracker so you could have tracking (for multi second exposures and stacking) in a simple lightweight configuration. what I have found is: its image circle size tends to fit type-1/3" with a moderate degree of vignetting. 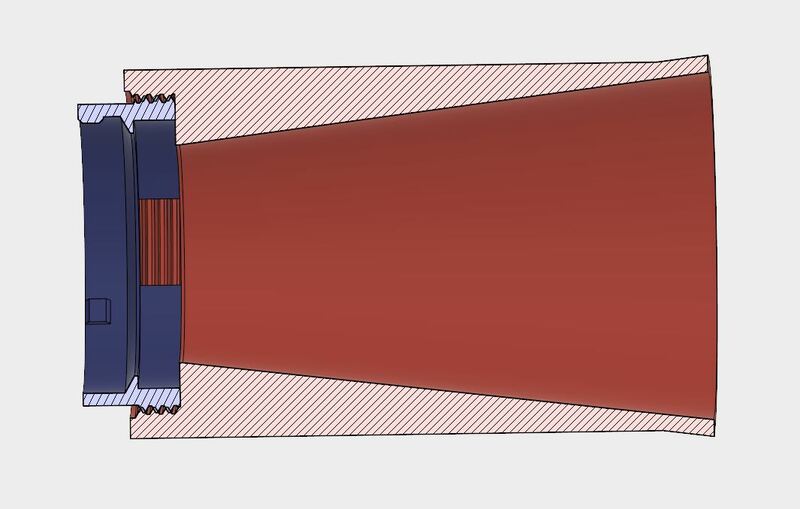 The extremely low cost ones will have some plastic optics elements in there. P.S. a premium CCTV lens can go well over $100 when it was "factory fresh" and "just came out of the market"
Auction market tends to drive this type to be low cost as well. I ended up going a little overboard shopping for a C-mount zoom lens. I ordered a used Fujinon T16x5.5 c-mount TV lens. Its 5.5mm-88mm zoom at F1.4. The neat thing about it is that it has a servo controlled zoom, focus and Iris, so in the future I can tap into it with an arduino and control it over usb. In the mean time the whole servo control box can be unbolted and the lens used manually. The 5.5-88mm on a 1/3" IMX224 should provide super wide 45° full constellation views down to 3° region of interests/ big DSO. I am thinking about making a 3d printable low precision mount using, AXK5070 thrust bearings, GT2 belts and baby Nema 11 motors with onstep. It would be a nice small lightweight companion to these c-mount lenses paired with the IMX224, due to the large arc-sec/Px. It would be awesome to get the camera servos working, then make a physical control panel with a X-Y joystick to slew the mount, Sliders to control zoom and focus, sliders or buttons to increase and decease exposure time and gain, than then a toggle switch to start stacking. Then mount the whole thing in a fake portable arcade cabinet with the win10 tablet for a screen and call it the "Starcade". Imagine the urban outreach! Pipe dreams aside, When I get the zoom lens I'll test it at 25mm, and 50mm and see how it performs against the prime lenses. Edited by cmooney91, 30 March 2018 - 08:50 AM. It's a StarBlast autotracker mount with a DIY Bluetooth dongle (for goto with SkySafari). It has a bracket for attaching DSLRs, I'll find a way to use it for mounting the 25mm lens. Interesting, what’s the cost of one of those low end mounts? There are of course lots of options for low end goto and tracking capabilities. 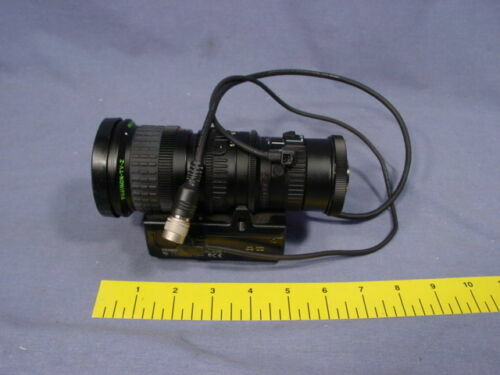 Getting a used low end mount that allows you to mount different scopes in place of the original one will make it easy to get what you need for a few hundred dollars. Most of the time these are alt az setups so tracking is a bit limited (but often fine for wide angle lenses). Low end EQ oriented mounts (which offer better tracking) are around but once you get into goto capabilities you are usually up into the $3-400 range. The SkyTracker is a bit different, it's $300 new and includes a polar alignment scope. 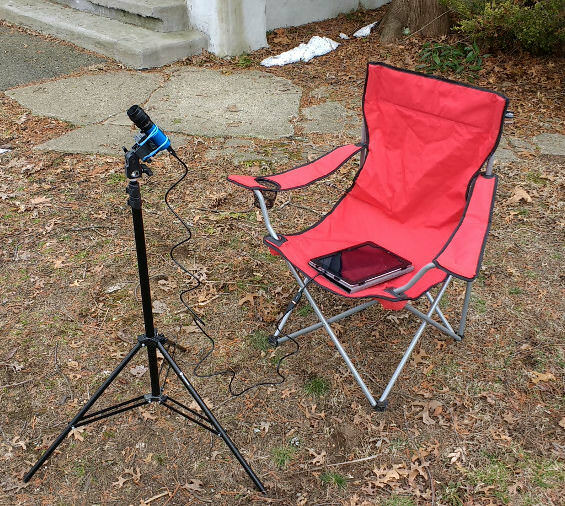 It is intended to be added to something like a photo tripod (like in the photo above) and offers really simple setup to get tracking for a wide angle camera. It's also lightweight and runs on AA batteries so it's suitable for traveling with. It's a bit of an apples to oranges comparison between them, with the SkyTracker being quite specialized ... but you can probably make just about any sort of mount that offers tracking work for you when you have a lightweight wide angle lens and camera combination. One of the interesting things you can do with a simple fast camera/wide angle lens on a photo tripod combo is to let folks at an outreach just use it for themselves. Very quickly they are panning all over the place looking at interesting star fields and such and wanting to go deeper to see what is there. It makes for a really interactive EAA tool that just about anyone can use. How about a low end EQ with single axis tracking - no goto? Yup, they just seem to be getting harder find in working condition. When I got mine a year ago, they were $199 including the 80mm F4.4 achromat blue OTA. I wasn't expecting anything from that OTA, it was just some free glass that came with the mount and my plan was to image with my 114 F4 reflector. However, this OTA turned out to be good for EAA and for travel. 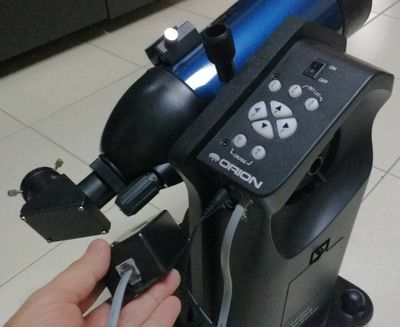 It's the same OTA of the Orion GoScope. Edited by Adun, 30 March 2018 - 02:50 PM. Nice option, question is what tripod would one use? The end of the 25mm cmount lens is 32mm which is really close to 1.25". A 1.25" filter will fit within the end of the lens, but the threads don't engage, so I made a 3d printable combination filter holder and light shroud. the filter holder(blue) securely sandwiches the filter to the shroud(red), and provides a friction fit over the 25mm lens. The .stls are available here if anyone is interested. If you don't have access to a 3D printer "3D Hubs" is an affordable printing service that leverages local hobbyists. It's like uber for 3D printing. I can't wait to try it out on Sagittarius. It’s not my intention to divert/subvert from the Title or Original intent of this thread, however, while I do have several CCTV lens’ obtained for use with the Revolution Imager R2, and which to my delight I can also use C-mounted to my ZWO ASI cameras, I am also very much interested in Canon EF or EOS type lens’ that can be coupled to the ZWO ASI Cameras, specifically 1/3 sensor ASI224MC and 4/3 sensor ASI294MC. Of course this interest extends to the tracking mounts such a lightweight portable EAA imaging system can be coupled with, like SkyTracker, iOptron Cube, or simple ball head tripod, so I hope this question fits in with this thread...: What Canon EF/EOS compatible lens does our community have experience with, and would recommend? I’m considering Starizona’s Lens Slider EF Adapter, although it is an extremely expensive device, I think it avoids the frustration with weak, flexing, sticking, breaking, and generally problematic adapters offered otherwise... question is... which lens? 50mm? 70-300mm zoom? Does anyone have experience, reccomondations? Mounting heavier lenses on these little cameras and getting a nice solid connection to a mount/scope etc. is indeed often a difficult thing to do. As shown above you can make all sorts of simple connections for small lightweight cameras but as soon as you are considering heavier lenses things get complicated. Most folks will use fixed fl DSLR lenses as these are often quite good optically and usually reasonably fast f ratio wise. Zoom lenses are usually slower in f ratio, much heavier, and have a lot more lens elements (so light scatter and such can sometimes be an issue). The nice thing is that a lot of folks who have a DSLR also have a fixed fl 50mm lens laying around they're not using. 25 to 50mm lenses are very useful on small sensor cameras, and even up to 135mm models work out quite well (but the extra weight can stress whatever mounting you may have rigged up for a small bodied camera). Remember that a 25-35mm lens on a DSLR is considered a wide angle setup but on a small sensor camera it actually performs like using a longer fl one on the DSLR. Another mounting option for Canon EOS lenses (and quite a bit cheaper than the Starizona model) is the setup from Altair Astro - https://www.altairas...r-Hypercam.html Altair products are carried in North America by 2 or 3 dealers so there should be no problem getting one with local shipping if that's important to you. The Altair Astro setup is intended to thread into a camera with a T thread (the HyperCams, the larger ZWO cameras, etc.) but you add a simple inexpensive T to C-mount adapter to use it with most of the smaller cameras too. This Altair Astro lens adapter also has the capability of mounting a variety of filters (often a problem with DSLR lenses on a simple adapter). If you are using small sensor cameras (type 1/3") then you can even get away with 1.25" filters, those can be mounted using the simple T to 1.25" adapters that fit inside the T threads. Edited by mclewis1, 31 March 2018 - 08:09 AM. I have that same UHC filter. I only use it with some very faint nebula (like the flame) because it darkens the view, requiring longer exposures. It will be interesting to try it though, and there's a local 3D hub printer service I used before for an arduino project.